W e hope you find this site helpful in your quest for an American Eskimo dog and/or information on this fantastic breed. 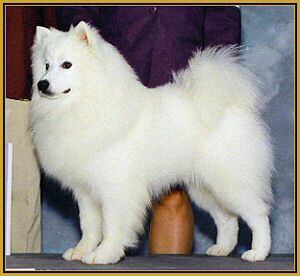 The American Eskimo Dog breeders from the above links are dedicated to the development and protection of the American Eskimo breed. These Eskie lovers are also exhibitors, so if you have any questions about showing, we are sure they will be happy to help. Their pages are very informative and we suggest you contact them individually should you have any questions. Additionally, some of the breeders below work with breed rescue.